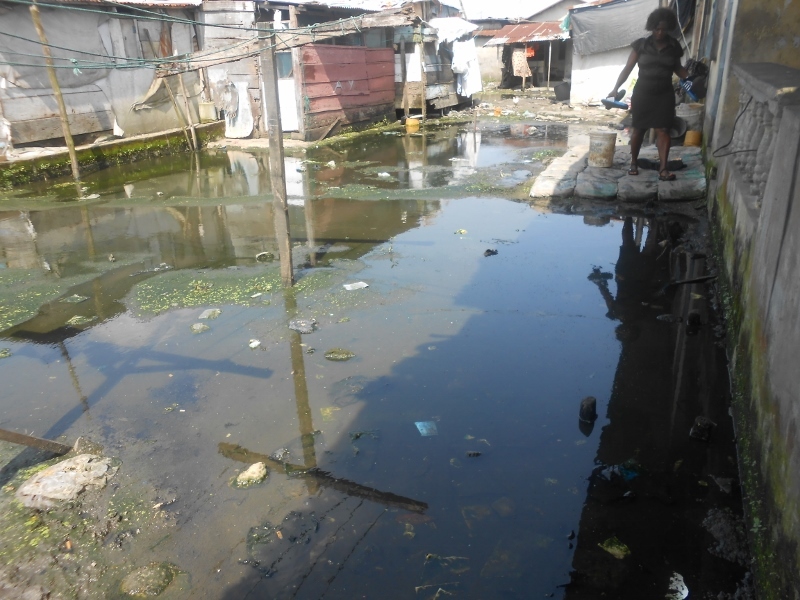 We recently visited kids from Dustbin Estate and the Ikota slum in Lagos, where the living conditions are failing even the lowest of hygiene standards. 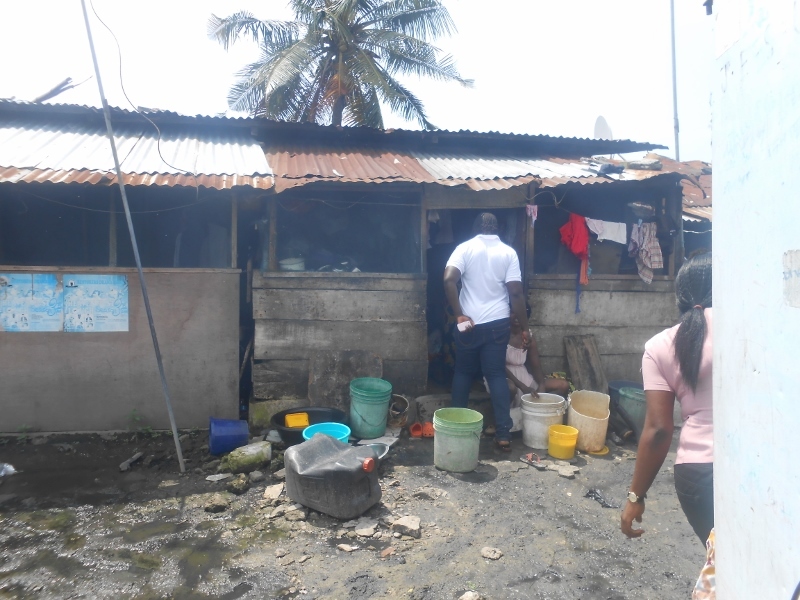 Our social worker, Ifeoma Keke, while describing one of her visits, said “the room accommodates five people, but it was so hot that I wondered how they are able to sleep and wake up there”. Words can’t communicate the horrible conditions these children endure, however, these pictures should paint a dark reality of these neighbourhoods. In spite of this, we are amazed at the ability of these kids to top their class while still being able to perform excellently at other skills. One child who is defying all odds is nine year-old Carol (pseudo-name), who lives with her mother, father and three other siblings in Ikota. Their home is a shack and the environment is quite a sight, but that’s not the worst of it. Her mom is a teacher and her dad used to work as a dispatch rider, leaving him exposed to multiple road accidents. The last two accidents left him with a physical handicap, and also visually impaired. The little income her dad still makes is used for his repeated surgical operations and hospital visits to save the vision he has left in his eyes. Carol’s mother is single-handedly raising the kids and is now left with the burden of feeding the family. However, the beautiful side of the story is that even with these many challenges, Carol has managed to excel academically in her class at the private school she attends with other children from middle-income homes. Her mom and dad have struggled to keep her in this school because of her brilliance. Considering the way things have turned recently, she might have to leave the school and transfer to a public school, as they are unable to afford the school fees anymore. Drawing from Carol’s story and many others we have come across, these kids epitomize resilience to excel no matter the odds. The conditions they find themselves can easily distract or discourage anyone from performing well. It is quite encouraging to see that these children are thriving despite these hard times, and working hard to make a better life for themselves and their families. Fair Life Africa Foundation is happy to work with these children, who are channelling their inner strength to rise above their limitations. Through our Disadvantage to Advantage (D2A!) Initiative, Carol will be supported to continue her education in the private school, and be empowered to achieve her potentials. We believe that this is a valuable investment that will not only transform her life, and her family and community, but will ultimately better the country and society as a whole. We believe in Carol, and we hope to find partners who also believe and will lend their support. Please join us by sponsoring Carol today. Previous Post Diet and Education – Are they related? Next Post How Relevant Is Formal Education To Child Development?